The State of Maine has passed a law requiring landlords to test all rental properties for radon. In addition, a written disclosure statement must be given to each tenant, informing them of the risks of radon exposure. Those risks include lung cancer. A sample disclosure statement is provided on the Maine Department of Health and Human Services website. 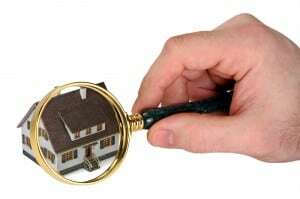 The tenant will have to sign an acknowledgment that they have received this disclosure. This new law requires radon testing in all residential rental properties by the year 2012. Radon tests required under this law must be conducted by a person registered with DHHS to conduct radon tests. When radon test results show 4 pCi/l or higher radon levels, the landlord or lessor must mitigate those levels within six months, or within six months of obtaining local permits if required in their community. Mitigation must be conducted by a person registered with DHHS to conduct radon mitigation. After mitigation has been successful, the landlord or lessor must provide notice of this to tenants. The new law also modifies previous provisions that require addresses of all structures that are tested or mitigated for radon to be reported to the Department in addition to the other information already required to be reported for each radon test or radon mitigation. This will allow the Department to develop a database to help track which residential rental properties have been tested as required under this new law. Radon is a naturally-occurring radioactive gas, derived from the normal breakdown of uranium that is found in almost all rocks and soils on Earth. Radon is more common in the rocks and soils found in Maine than those found in many other states, and has been proven to cause lung cancer. In fact, radon is the second leading cause of lung cancer overall, and the leading cause for people who do not smoke. It takes many years of exposure to high levels of radon before anyone might get lung cancer due to radon. Radon can come from the ground, or from well water. See September 30 Deadline for Lead Paint Certification. American Apartment Owners Association offers discounts on products and services for landlords related to your commercial housing investment, including rental forms, tenant debt collection, tenant background checks, insurance and financing. Find out more at www.joinaaoa.org.